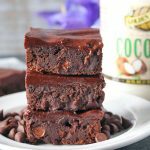 These Paleo Triple Chocolate Brownies are a chocolate lovers dream! 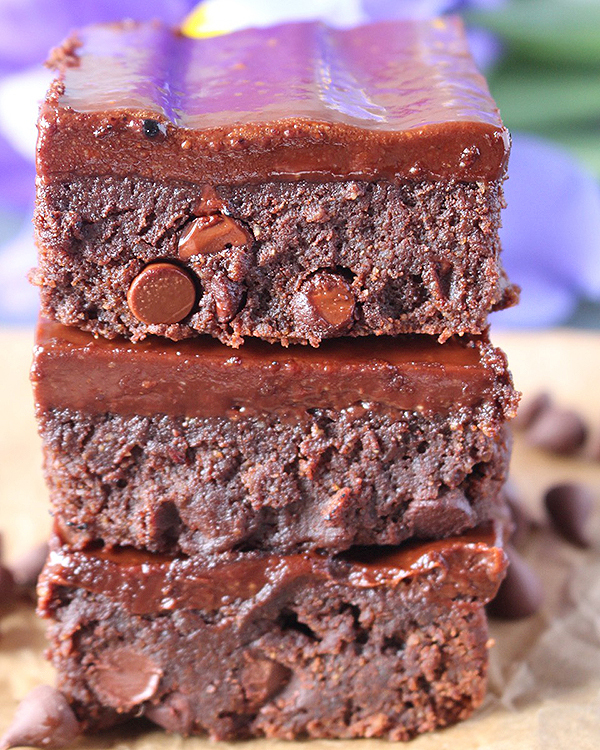 Fudgy, rich, chocolatey- all while being gluten free, dairy free, and refined sugar free! 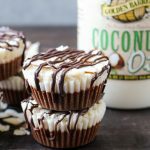 These are made with almond butter and almond flour then are topped with a thick creamy frosting. 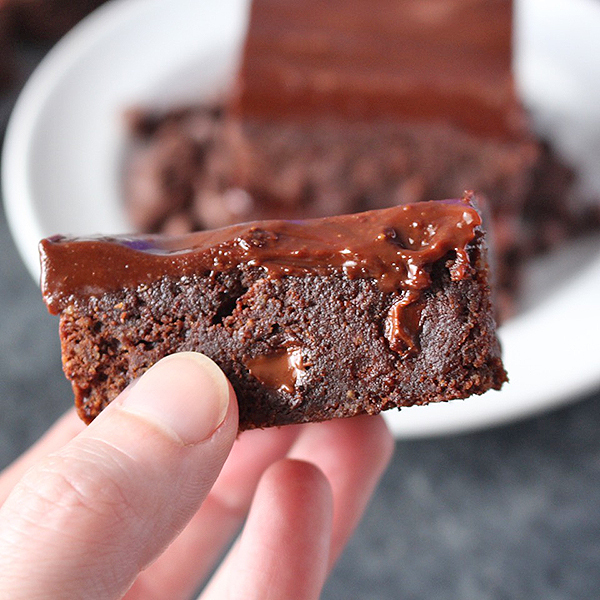 The ooey gooey chocolate, the moist brownie- they are just so good! 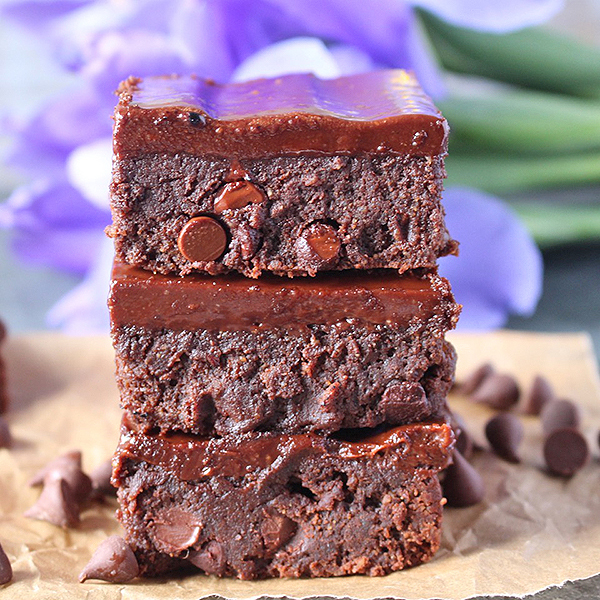 I always like my brownies as fudgy as possible and these live up to that expectation. There is no leavening agent in them (like baking soda or powder) so they don’t rise at all which can make them cakey. They are super easy to make! Mixed in one bowl by hand, baked, then topped with frosting. If you want them to cut nicely then they need to chill in the fridge for a couple hours. But if you’re not trying to impress anyone, then cut into them right away and enjoy warm! They are great straight from the fridge, or you can warm them slightly to get the chocolate melty and delicious. These brownies are super rich, so I write that they make 9, but you can definitely cut them smaller. 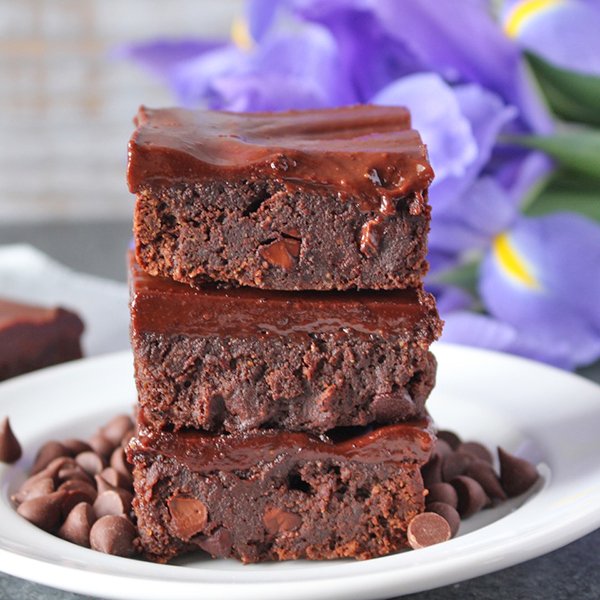 You will love these brownies because they are easy to make, fudgy, and super chocolatey! -Can I substitute the almond butter? Sure! Feel free to use any natural nut butter that you like. 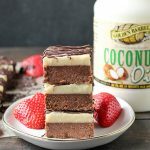 -Can I use coconut flour in place of the almond flour? Unfortunately, no. 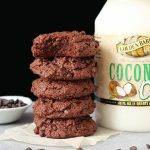 Coconut flour is a completely different flour that is much drier and can’t convert 1:1. You could use a gluten free mix if you don’t need them to be paleo. Tapioca flour should work as a substitute if needed. 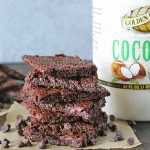 -Can I use cocoa powder instead of cacao powder? Yes, they are the same measurements. 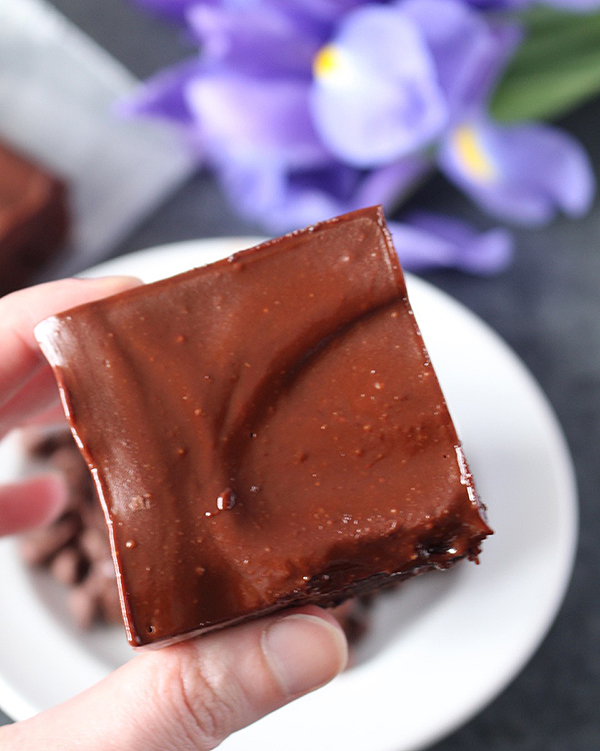 The reason I use cacao powder is because it is like an unrefined version of cocoa powder. Google the difference if you want more info. Preheat the oven to 325° and line a 9 inch square pan with parchment paper. Set aside. In a large bowl, combine almond butter, coconut sugar, maple syrup, coconut oil, and vanilla. Stir until well combined. Add in the eggs and stir again until combined and smooth. Add in the soften cacao powder, salt, and almond flour. Stir until fully combined. Stir in the chocolate chips and pour into the prepared pan. 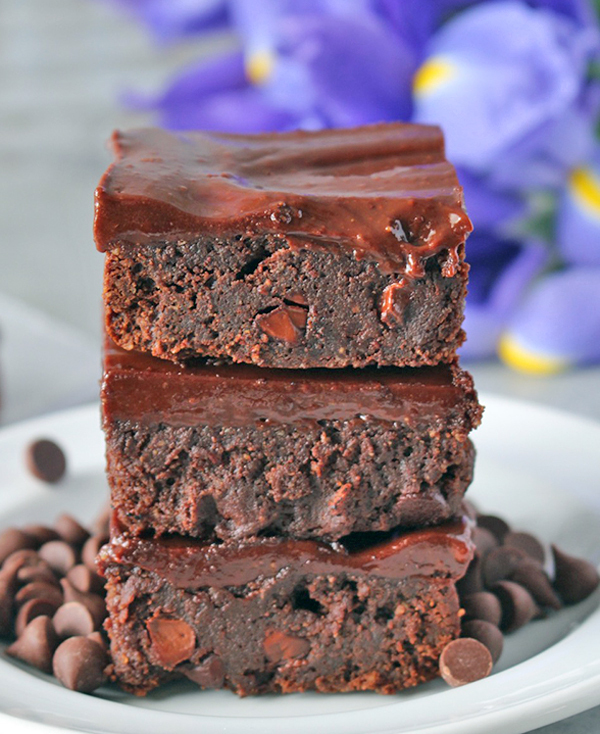 Once brownies are cool, make frosting. 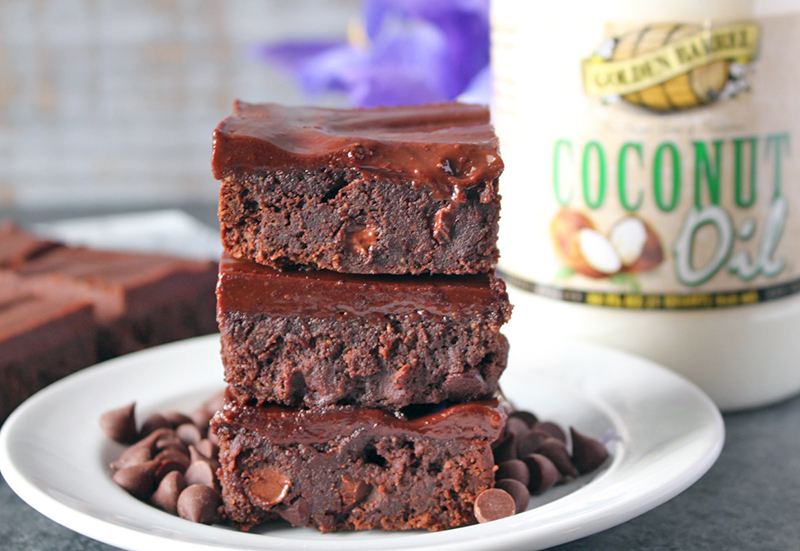 In a medium microwave safe bowl, combine chocolate chips, almond butter, and coconut oil. Microwave in 15 second increments, stirring each time, until melted. Add in the almond milk, stir until smooth, and pour over the brownies. Place in fridge to chill. *Alternatively, make frosting on the stove in a small sauce pan. Can I swap the coconut oil for butter? Hi Elizabeth- Sorry I am now just seeing your comment. Yes, that will work. Hope you enjoy!